“Although there is some debate as to the origin of our namesake, it is commonly accepted that Telkwa is a native term meaning the "meeting of the waters" and describes the picturesque joining of the Bulkley and Telkwa Rivers in the heart of the town." I reside in the rural areas of Bulkley Valley, right on the Bulkley River. The place I live has given me gifts of vistas, peace, and quiet. We love living in a welcoming community valley of approximately 20,000. The Buckley River is one of the many rivers impacted by the Enbridge Gateway Pipeline. I include this quote so you see the passionate relationship with water in the Northwest area of the province. I was born only 290 kms east of Telkwa in Prince George, B.C. I grew up moving around the province with my parents as one mill closed and another town's mill had the next job. My father, an IWA member, felt the boom and decline of forestry jobs as the waves of political change in technology and resource extraction in B.C. were so volatile in the 1970’s. I grew up while marches for peace happened in the streets of Vancouver. I yearned to attend, but was too young. Making art gave me unique opportunities. 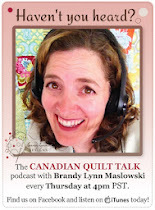 I eagerly signed up for fashion sewing in Gr.8, where I met a Home Economics teacher who changed my life. She taught me how to hand sew a one block log cabin quilt, all of 9 inches square, I treasure this first quilt. I have been an artist most of my life. I dabbled in acrylic/oil painting in the early teen years, but when pregnant with my first child I had a powerful urge to make a quilt. Like many other quilters, I'm sure my road started with a baby quilt. I looked to frugal green ways and chose to work with the plentiful fabric from used clothing at thrift shops. My mother had taught me to hand sew as a child. 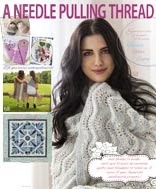 As a result I grew into an excited and creative embroidery nut, making "pin money" by hand stitching daisy chains down the seams of my peers in high school. Success was earning money to embroider, I was hooked! Now, some 39 years later, I am still hooked. I explore political and social situations in fabric art. I've been playing with various new techniques learned from reading the blogs of some lovely artists out there like Monika Kinner-Whalen of My Sweet Prairie. My three most successful accomplishments of the last year are the completion of the epic long king size quilt I made for my hubby, the Sashiko Sockeye piece that drew so many new followers and lovely comments, and the Smithers 2013 Centennial Quilt which I only have parts of so far. I love and continue to make crazy quilts from used materials. 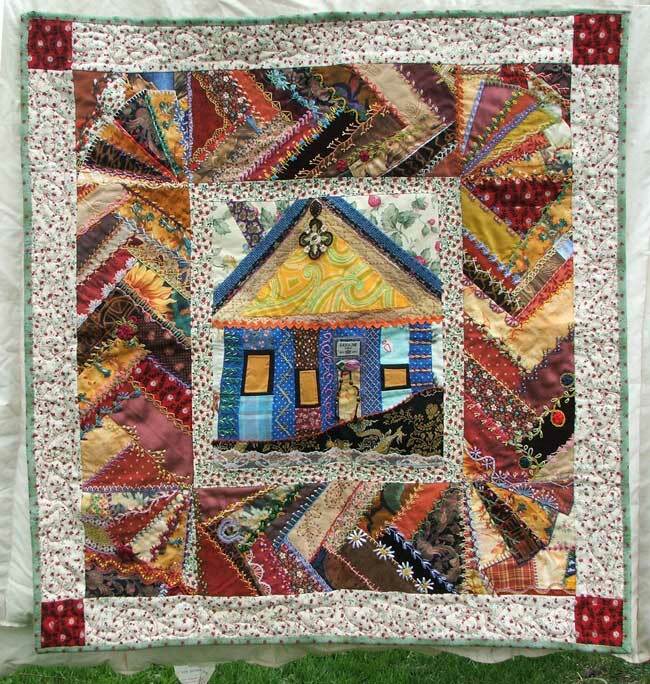 I prefer the look of a crazy quilt made this way. My biggest dream for myself would be to actually sell my work on a regular basis. 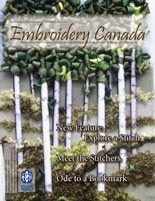 I’d love to spend all my days working on new pieces of textile art and have shows around Canada. You know what I mean? 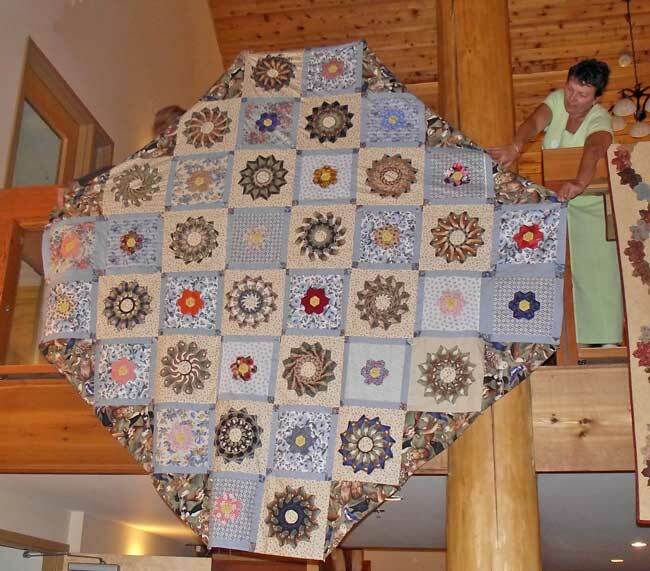 Crafting quilts from used cloth is just one way to divert items from the landfill. 'Re-Crafting' has become my specialty in all my art. 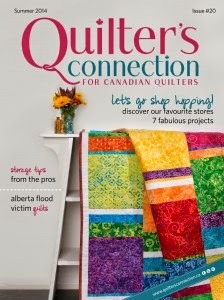 I think 'reuse' before I buy new fabric, even though I truly love the modern fabrics like any other quilter. My love of sharing the techniques I’ve learned at our monthly B.V. Crafters Gathering. It is rewarding for me because I don’t have any daughters to pass this art to as I grow older, so I share with others there. 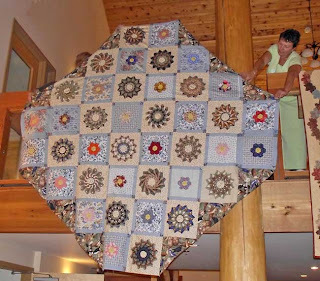 My challenge to readers is to repurpose clothing, plastics, wood and other things each week and post about it, linking up with Good Earth Quilting. 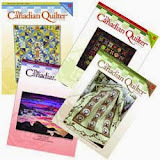 I wish I knew how to make buttons for my blog because I need one to do a blog-a-thon in connection with repurposing textiles into new quilts.